Today we’d like to introduce you to Danny Star. I was involved in online marketing over a decade ago for a large finance company. After the financial crisis in 2008 I decided to branch out and start my own marketing consultancy. We ran out of Van Nuys for several years and eventually settled in Silver Lake on Sunset Boulevard– we have three offices there now. It all started out with search rankings and paid ad consulting, but it really grew into something that’s a full service and one-stop place for everything businesses need on the web. These days we get such a wide range of people that come to us for help, everything from electricians to lawyers, to manufacturers and retailers. If there was one thing that I would point out that wasn’t so smooth, is my transition into going it alone, without the backing of a fairly large company behind me. We had to build this from the ground up, and in the middle of a financial crisis, mind you. And of course, from there, we had some problems, but they were the good kind of problems– expanding, growing the work force, looking for new offices. That’s not to say there weren’t any kinks along the road, but we believe in what we do. So let’s switch gears a bit and go into the Websites Depot story. Tell us more about the business. We’re a full-service web agency that comes up with the right mix of small solutions that fit the bigger picture for many businesses. Some business owners are just struggling to get the word out that they’re in business, and what service or good they offer, and that’s where we help. 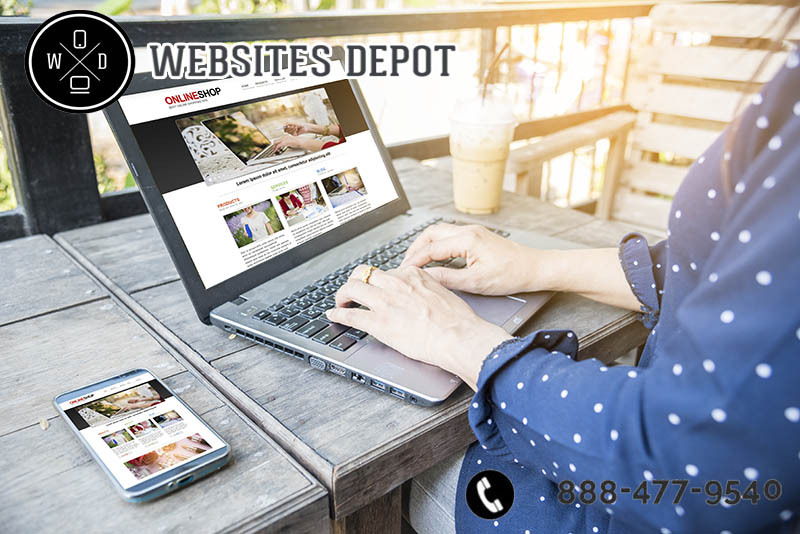 There are other businesses just getting started that don’t have a website, so we provide some really high quality, business-grade web development that’ll give the perception they’ve been in the business forever. Then we have some successful companies who come to us for help in allocating their Google AdWords budget, engaging on their social media accounts, and in some instances, they’ll need us to help with their reputation issues that very often happen on review boards, message boards and in news articles. So it’s a vast, healthy mix of services that we offer, and I’m proud to say we’re growing and branching out in our expertise. It’s a good mix of web design, web maintenance, graphic designs, ad writing, ad management, press releases, and of course our expertise in search engines. The industry is strong and it’s not going anywhere, but it is constantly evolving on a daily basis, whether you’re talking about popular designs, Google, or social media. The major shifts are very much towards the direction of mobile technology. Five to ten years from now, the mobile devices will look absolutely nothing like what you’re seeing in peoples’ hands in 2017. We may be seeing more interactive technology coming about that is going to change the way businesses will interact with their consumer base. So we’ll be staying on top of that, testing out those new gadgets so we can think of ways our clients can adjust to benefit their web presence. This press release was published via Voyage LA on September 5, 2017.